Looking for a new vehicle in the Oakville area? Look no further than the new vehicle inventory at Suntrup Nissan. We have a wide variety of models in stock, from the popular Nissan like the Nissan Altima to the fan favorite Nissan Rogue with all-wheel drive. Take your daily drive in Mehlville to the next level with a new vehicle from Suntrup Nissan! 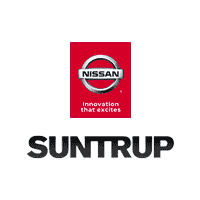 Why Choose a New Nissan from Suntrup Nissan? Our sales team is standing by to get you behind the wheel of the model that best suits your budget and driving needs. Contact us today to get the process started.